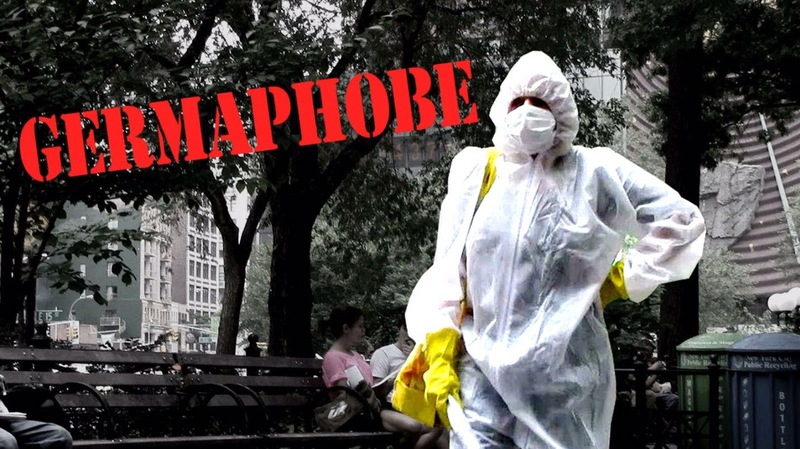 I am a germaphobe. I admit it. Have I always been deathly afraid of germs? No. I actually used to eat food off the ground and never used to wash my hands after using the bathroom. Okay, maybe those things aren’t entirely true, but I used to generally not care about everyday common germs that most people, my younger self included, don’t care about. I remember eating fruits and vegetables without washing them first; I remember biting my dirty fingernails, and playing beer pong when everyone shared drinking cups and the ping-pong ball repeatedly rolled on the ground before being tossed in beer soon to be guzzled. These instances offer quite the juxtaposition to my hyper germ avoidance today. But to be fair, and in my defense, there is good reason for these germaphobic tendencies. I know, I know, that is what every obsessive-compulsive germaphobe says, right? But hey, it’s not like I’m one of those people who washes their hands dozens of times an hour until they’re raw or who wipes down every door knob in their house exactly seven times everyday. Or am I? Before I go any further, let me just say that all of my caregivers, and some civilians who visit me, have to wear masks and nitrile gloves when they come in my room. Ahem. But I’m not kidding…. Admittedly, it’s a bizarre scene and often very impersonal. Between the caregivers wearing masks and the darkness in my room, I couldn’t pick many of my former caregivers out of a police line-up if I had to. I often imagine myself one day becoming well enough to walk the streets where I will be repeatedly stopped by someone saying “Hey Jamison, it’s me, your caregiver,” and I’ll have no idea who they are because I never actually saw their face while they were caring for me. So it basically looks like a SARS out break in my house. But for good reason: I was only moderately sick with MECFS (myalgic encephalomyelitis / chronic fatigue syndrome) when I got the flu in 2015, which compounded with my already impaired body, left me too weak to speak or eat or get out of bed. Before that I had been diligent about taking vitamins and supporting my immune system. I hadn’t had a cold or the flu in a couple years. But the flu that year took me down hard. I remember lots of people complaining about that flu and I was so confident that I wouldn’t get it, but it hit me hard and in many ways, I’ve yet to recover two years later. And that’s a big reason I am so hyper-aware of germs these days — I can’t afford to get a cold or the flu again. Another reason is I take Valcyte, an antiviral medication, which I’ve been told suppresses the immune system. Because I take it I am more susceptible to the germs that I work so hard to avoid. Also, I get regular IV treatments, of which sterilization is critical. This is why I have a box of isopropyl alcohol pads by me at all times. I constantly need them to clean my hands and IV components throughout each day. Okay, now that I have (hopefully) convinced you that my germaphobia is justified, this is the part where I tell you that, even without all my justifications, I am a legitimate obsessive compulsive. But only to a certain extent. I hope. I have always had obsessive compulsive tendencies. In my pre-teen years I was afraid of being kidnapped by someone breaking into my room. I would obsessively — sometimes dozens of times a day — check to make sure the door was locked. And I don’t just mean visually. Even if I saw it was locked I had to actually walk over to the door and really push the lock closed, even if it wouldn’t budge anymore. I may not have been deathly afraid of germs back then but I definitely think my germaphobic tendencies are rooted in these obsessive compulsions I had as a teenager, along with the trauma of becoming so sick from who knows what pathogens as an adult. So I guess the point of telling you this, besides trying to justify this mental illness or whatever you want to call it (mental imperfection? Yes, that sounds better), is to say that while my actions to avoid germs (and kidnappers in my youth) may be obsessive and compulsive, they are supported by logic, at least in my mind. Don’t get me wrong, I think there is something very wrong when I won’t drink from a straw that has been touched on either end by someone’s hands, but I also think there is something very wrong when I end up bedbound and too weak to chew or lift a fork after getting the flu. But the way I make peace with my life is by acknowledging the absurdity of it. I certainly don’t enjoy being this way, but just like Howie Mandel and all the other germaphobes in the world, there is a reason we are like this. And for me, I honestly believe that if my health wasn’t so crappy, and I wasn’t taking an immunosuppressant, I would probably still be eating food off the ground. Thanks for reading about my crazy life! If you’d like to read more please subscribe and scroll through my archived posts. Oh yes, I forgot about food poisoning! No joke, I used to eat a tiny bit then wait the 28 minutes or however long they say it takes for signs of e.coli to show up. I used to be crippled by fear from that stuff. It’s actually why I became at vegetarian at age 7. I remember years ago when I realized my mom was a germaphobe. We’d gone on vacation to Vegas. When I looked in the bathroom she had covered EVERY counter and toilet top and toilet seat and the side of the tub with Kleenex tissues. She was afraid to touch anything!! She even covered the top of the desk and dresser. After that I always traveled with a can of Lysol for her. I’m also a bit of a germaphobe so I can commiserate. On the upside, there is some evidence that after a few years of having ME/CFS our immune system, while suppressed initially (some say about 3-4 years) starts to rebound. I found that to be so. And in truth, mine has improved with vitamins, supplements like Ashwaganda and medicinal mushrooms including Cordyseps. I actually got through the ENTIRE winter this year without getting sick which was a huge achievement. I’m never without a bottle of ACF (Acute Cold and Flu) liquid from Buried Treasure in my refrigerator. You can look up the ingredients online (herbal, vit, elderberry, colloidal silver, etc) and the stuff is truly awesome. I’ve used it when I’ve been exposed to someone who is sick….and not gotten sick…..and used it when I start to come down with a cold and it’s amazing that it knocks it out much faster than anything I’ve ever tried. The reviews are stellar. Swanson and Vitacost Vitamins both have it online much cheaper but Vitacost packs it better for shipment. It’s worth every penny. Hi Stephanie. Thanks for the recommendations. I will look for ACF. I get a Myer’s cocktail a couple times a week but it’s always good to have a rescue remedy. I also have liposomial vit c around. I have lupus and RA so I understand the germ thing very well. I think you’re doing what you have to do to stay as healthy as you possibly can. I really enjoy your articles! Please take care of yourself so you can keep writing! Thanks Dee! You’re very kind. A friend of mine just got RA. Do you have any treatment advice? Having MS and on medications whose entire purpose is to suppress my immune system, I think you’re doing what you need to do! I really enjoyed your post and I look forward to reading more! Hi Devin. I often think about that with people who have MS or RA or other autoimmune diseases. That must make the germ thing even more dangerous. Thanks for reading! I enjoy your posts. I admire your courage, humour and ability to write well and interestingly. My thoughts are with you. I wish you well. I totally relate! Prior to getting sick I was practically bulletproof against the flu. Then one day I wasn’t. My first round of my mystery illness (it’s either CFS or something exactly like it, doctors keep floating various thoughts about post-Lyme, post-viral syndrome and then chicken out and tell me I’m just stressed out and as soon as I learn to think positive thoughts, I’ll magically get better, even though several years of meditation and therapy have not stopped me from getting worse–but that’s another story) was comparatively mild, although at the time it seemed like the end of the world. Then I got walking pneumonia. Recovered a tiny bit from that and then I got the Death Cold From Hell. This is after getting sick every 2-4 weeks throughout the entire school year (I teach college). Now I wear a surgical mask whenever I go out in public. It hasn’t cured me, and it does make people look at me funny, but it’s the only thing that’s worked to stop the constant infections and is probably the difference between being able to leave the house a little bit, and not being able to leave the house at all. So I highly recommend it! Hi! That’s a good idea. I wear a mask when my room is being cleaned or chemicals are used but I haven’t had to use one in public because I’m housebound. Thanks for reading! Hi Jamison, Iv been following your blog in New Zealand for a while now and for some reason tonight I feel the need to thank you (I dont usually interact online, I’m in fear that whatever I write will be held against me for life haha paranoid comes to mind!) my husband who’s 36 has battled cancer, chemo, radiation, renal failure resulting in dialysis and now the return of his cancer. Although your illness is different there are similarities at different points in my husbands illness. What I love about your blog is that it is from a younger male’s point of view, and an honest one at that! Quite often it has helped me understand certain situations with my husband. I can also relate on a lot of things (your misanthrope blog was sent to a few close friends so they could understand my state of mind!) I know it’s super hard for you guys to be in this situation especially having been very active before your illness so I sincerely hope you get better and feel the suns rays on your face again. I really just wanted to say thanks for being so open. I’d say give ya mum a high five (you’ve mentioned she’s your rock) but I’m guessing that’s just mean as it’s probably not physically possible for you! But I can appreciate how much she must do for you … physically but probably more emotionally. Hi there! I am so glad you decided to leave a comment. And it makes me feel good to know that people with other conditions and their loved ones can relate. It’s just as rewarding as knowing people with MECFS can relate. Illness is illness after all. It’s a lifestyle that people without exposure to don’t seem to fully grasp, so we really must stick together. As tough as my situation is, I can’t imagine how tough it is for your husband. I mean the weight of all those complications at such a young age must be crushing, but he sounds like the toughest of our kind. I haven’t listened to it in awhile but you might like it. He’s funny. Thanks for your kind words, and I’ll definitely give my mom a fist bump for you. I hope we can stay in touch! you replied! …. maybe eternalising my words online isn’t as scary as first anticipated. I think I will keep in contact. Thanks for the blog recommendation I just listened to quite a few of his podcasts… indeed he is funny. I actually legit LOL’ed. (I feel LOL is overused these days and people write it when they don’t actually laugh out loud … I don’t even really like the word LOL but if I use it I def laughed out loud) so thanks for the laugh. can I ask something as I don’t think Iv seen it come up … is there any way medical marajuana helps? Please LOL all you want. It’s interesting you mention medical marijuana. I can’t really tolerate the THC, but I’ve been thinking about trying CBD oil for my pain and nerves. Have you or your husband tried anything like that? I had a similar thing to Alicia – didn’t catch a thing for the first part of the illness (much shorter period of time for me thankfully, just 5 years or so) then I caught everything going. I would feel really annoyed with anyone who was ill because I knew I would catch it! Then I got put on a herbal anti-viral, immune-boosting protocol by my ME clinic in London. I thought it hadn’t worked until I managed to see a friend with a stinking cold and her poorly baby without catching anything! Then hayfever season hit and my immune system was so ramped up I had the worst hayfever and had to stop the herbal stuff one week short of the final part of the protocol. Two months on and I haven’t caught anything else….. I will catch something at some point, immune systems aren’t infallible, but hopefully I’ll be in a better place ME-wise to deal with it. Hi Becky. It’s so tricky. It seems like I always get a cold when a least expect it but I’ll go long stretches without one. So I can definitely relate to your experiences. I had two this year and none the year before. Go figure. I’m glad you got to see Unrest. How was it? I hope I can see it soon. I agree, be vigilant. I wound up in the hospital not too long ago and I took a bottle of alcohol and a wash rag with me and was constantly washing myself off with it for 3 days. I take one with me everywhere I go now too and wash my hands and face. Especially a doctor’s office. I have even worn a mask in there during flu season. I have become a huge germophobe since I got this!!! It is kind of frustrating but who wants to get sicker??? I was like you before. If you can no longer count on your body to protect you from germs it gets really scary. Even a “common” cold is frightening to me now. I hate being this way though and I know you do too. Hi Gloria. I’m glad you share my experiences a bit. Hospitals and Dr. offices are awful. I have a horror story about a nurse who came to draw by blood and wiped my blood on her bag which she uses for all her patients. I couldn’t help but wonder how many other patient’s blood she had wiped on that bag. Ewwww. I’ll just try not to think about haha. That is pretty gross and dangerous! You would think a healthcare worker would have more sense. Unfortunately even if by some miracle we recover I am pretty sure I will always be like this now. I was just wondering how your standing is coming along. I hope it is getting a little easier for you. Oh thanks for asking, it’s going okay. Still painful but I’ve started to use my energy to get in my wheelchair which is not as taxing as standing. I actually got out of bed and into the wheelchair for the first time recently. It was amazing. Next I’m going to have someone wheel me around the house. I’ve never actually toured my house because we moved here when I was incapacitated. So glad. Hope you can get outside very soon!! Hi there. You definitely should do a YouTube channel or podcast. We need to be as vocal as possible in the ways we can be. And don’t worry about reading my posts, take it at your pace. You might try having Siri read them. I do that a lot. Thanks for sharing your thoughts! I thought the CFS had my immune system on all the time, and that’s why I didn’t get colds, etc. For about 25 years worth. Then I coughed – 2 different viruses, one from husband who thought he had gotten what I had first, and took NO precautions. Turned out he had acquired elsewhere, and gave it to me for two months after the one month the other virus cost me – so I coughed for three months solid. Last November. I’m really skittish now. I don’t even want to breathe his air – and he gets really snuggly when he isn’t feeling well! Aargh! 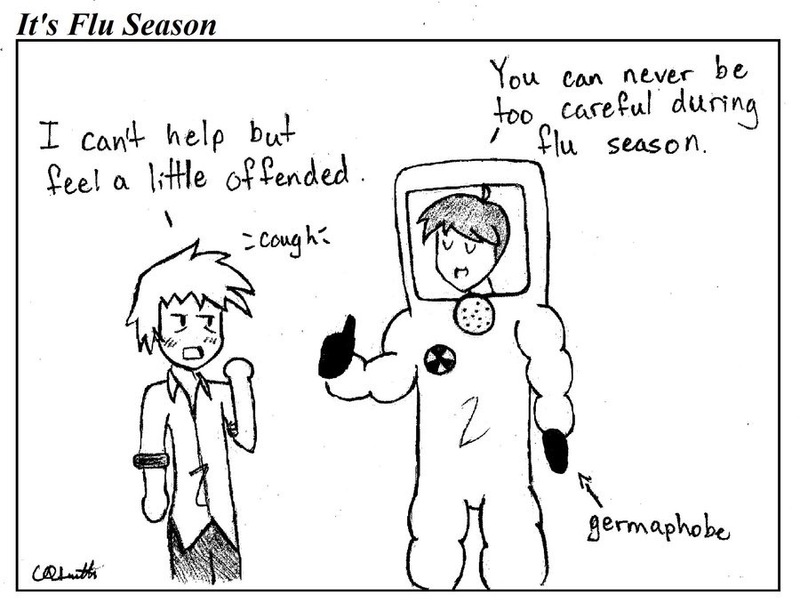 I get sick – it isn’t funny. I understand. And you are right to distrust – your immune system is NOT on all the time or working properly – it’s now erratic and untrustworthy. Do what you have to do to protect yourself. Thanks Alicia! I feel you on the coughing. Seems like I’m always coughing. Maybe it’s allergies or the lung infections we get.